Mimosas! Perfume! Fine leather goods! Treat. Yo. Self. 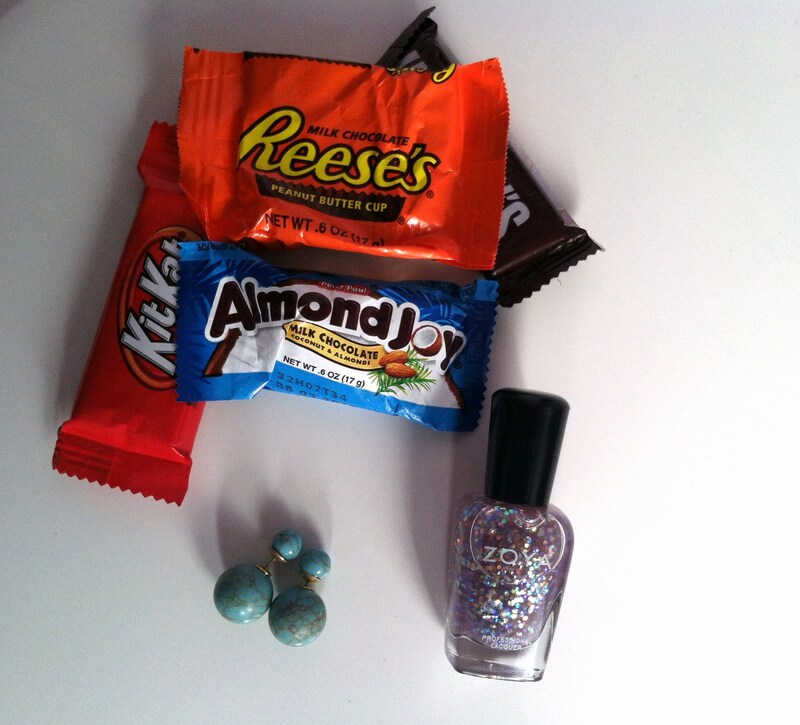 In case you are in need of a little “treat inspiration,” here are some of my latest little treats: Halloween candy (obviously), the beautiful Zoya Monet topcoat, and a new pair of fabulous Baublebar earrings. They were on sale, and are now unfortunately unavailable. I’m wholeheartedly jumping on the 360 stud earring bandwagon, in case you haven’t already noticed. So, if you ever find yourself feeling down-in-the-dumps, I’m a very big advocate of a little treat. It might not seem like a very big deal to everyone else; it could be a cappuccino, a pair of extra fuzzy socks, or a new lipstick, but don’t underestimate the positive influence of lovely little things that pop into your life. Of course, the most important part of this is your willingness to turn things around. Things may not always go your way, there might be giant hiccups in your day, but that doesn’t mean you have to give up. Treat yourself, and choose to be positive.